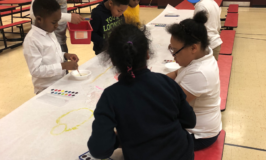 MUSA has taken advantage of the beautiful fall weather by participating in several fall-themed crafts and service projects! 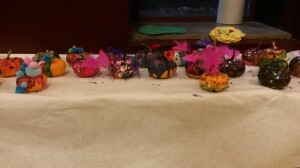 MUSA youth got creative decorating these mini pumpkins at the afterschool program. In addition, afterschool youth participated in a September service project, collecting coats and clothing for Rainbow Kitchen’s coat drive. MUSA was able to donate several bags of gently used clothing thanks to the dedication of the children and their families. For October, MUSA youth will be participating in a “Clean Up Day,” where they will help to clean up the play spaces at Barrett and Park Elementary. MUSA youth are doing their part to help the community! MUSA is still accepting fall enrollments for afterschool and Little Lambs Early Learning Center! Enroll today to get your child involved in the fall fun! 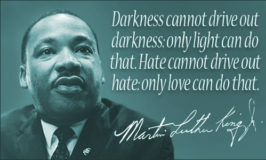 Call (412) 461-1800 or email MSavolskis@musasv.org.